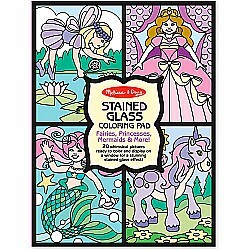 Color in enchanting pictures, and see them come aglow when you put them in a sunny window! 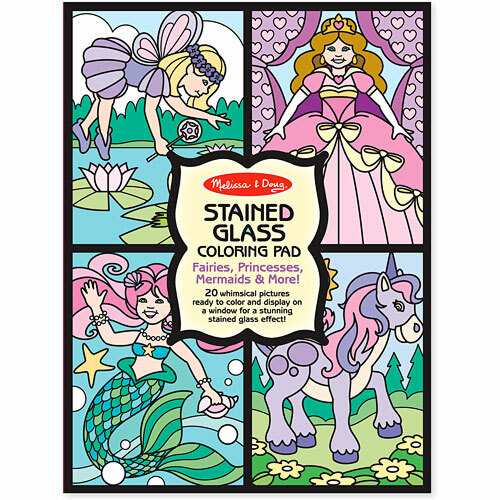 Use markers to add whatever colors you choose to each "stained glass" creation in this stunning coloring book. 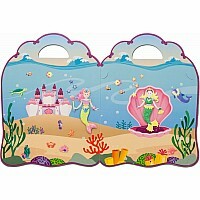 Twenty unique fairy- and fantasy-themed pages bound in a handy pad tear out cleanly to display. Measures approximately: 12.00 x 9.00 x 0.15 inches..